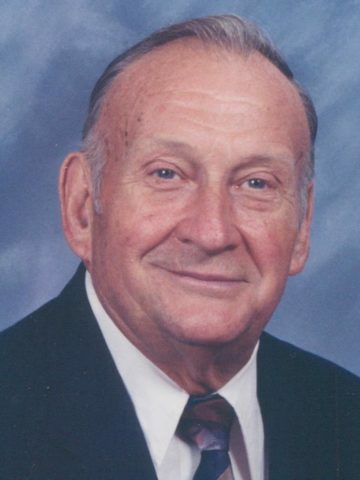 Milton Hight Morrow, Sr. – Age 89, passed away Friday, May 5, 2017. He was a former member of the Pennsylvania Avenue Church of Christ, and Charlotte Avenue Church of Christ; currently at Charlotte Heights Church of Christ, serving as a deacon at all three congregations. He is preceded in death by his sister, Mary Etta Ingrum; his sister in law, Peggy Morrow. Survived by his wife of over 66 years, Verlie Elizabeth Bell Morrow; children, Milton Hight Morrow (Christie), Jr., Joan (Jeff) Sadler, and Wanda (Carl) Sharpe; grandchildren, Melissa (Chris) Cornell, Jeremy Morrow, Patricia Shepherd, Neal Sadler and Grant Sadler; 7 great grandchildren and 1 great great grandchild; his brother, James (Lauraette) Morrow. A Celebration of Life will be on Tuesday, May 9, 2017, at 1:00pm, at West Harpeth Funeral Home with Darrell Blankenship and Clifford Dobbs officiating. Interment will follow at Harpeth Hills Memory Gardens. Honorary pallbearers will be: The Churches of Christ Disaster Relief volunteers, Alive Hospice, Elders and Deacons of Charlotte Heights Church of Christ, and the Friday Night Singers. Visitation with the family will be on Monday from 4:00pm until 8:00pm, and on Tuesday from 11:00am until the service time at 1:00pm at West Harpeth Funeral Home, 6962 Charlotte Pike. 4 Comments to Mr. Milton Hight Morrow, Sr.
What a great, soft spoken, godly man, who was a big inspiration to my family over the years. Our prayers to his wonderful family in the days ahead. May God bless you. Rest well you good & faithful servant. WHAT A JOY TO KNOW MILTON, VERLIE AND THEIR FAMILY. WE LOVE AND APPRECIATE THE YEARS WE WERE TOGETHER. MAY GOD BLESS EACH OF YOU AS YOU LAY MILTON TO REST. OUR PRAYERS ARE WITH YOU IN THE DAYS TO FOLLOW. BE STRONG IN THE FAITH.WE LOVE EACH OF YOU. Brother Morrow was my 5th grade Bible school teacher at Pennsylvania Avenue Church of Christ. His wife Verlie and daughter Joan were some of my Bible school teachers also. Brother and Sister Morrow and Joan made a great impact on my life as a Christian. You could always count on them. They are the true example of Christians. Thank you so much for teaching me how to be a faithful Christian. The love and support you gave me while I was growing up will never be forgotten. You helped a little girl get on the true path to God. You will never know how much that means to me. Thank you. So sorry to hear of your loss. We were out of town and were unable to attend. We cherish our memories of Milton and Verlie. Our prayers are with you all.